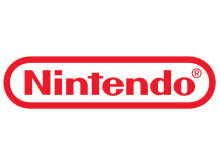 Mario has gone mad! 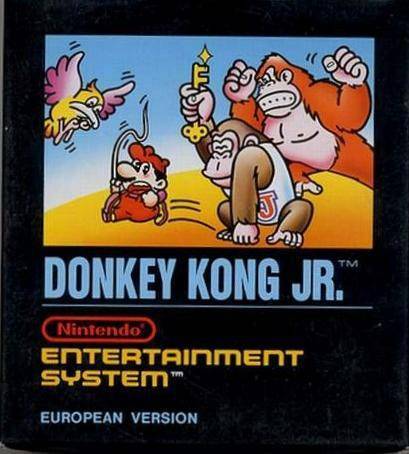 He's turned the tables on Donkey Kong and locked him in a cage. 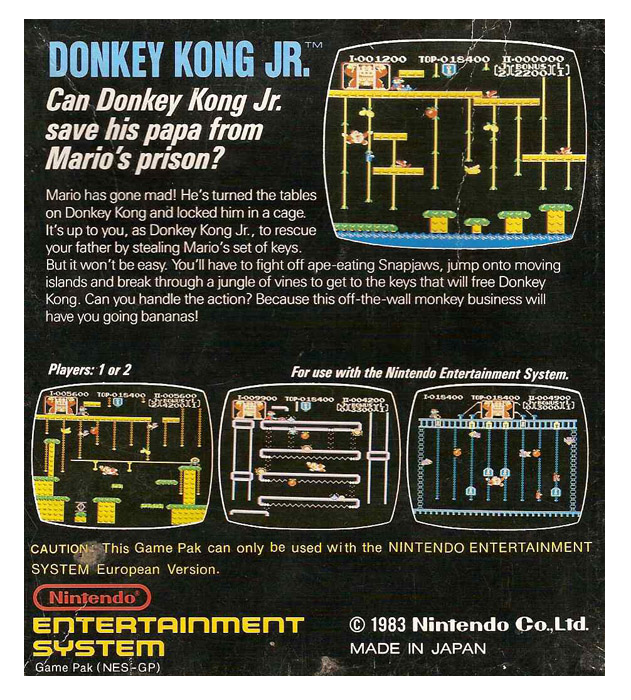 It's up to you, as Donkey Kong Jr., to rescue your father by stealing Mario's set of keys. But it won't be easy. 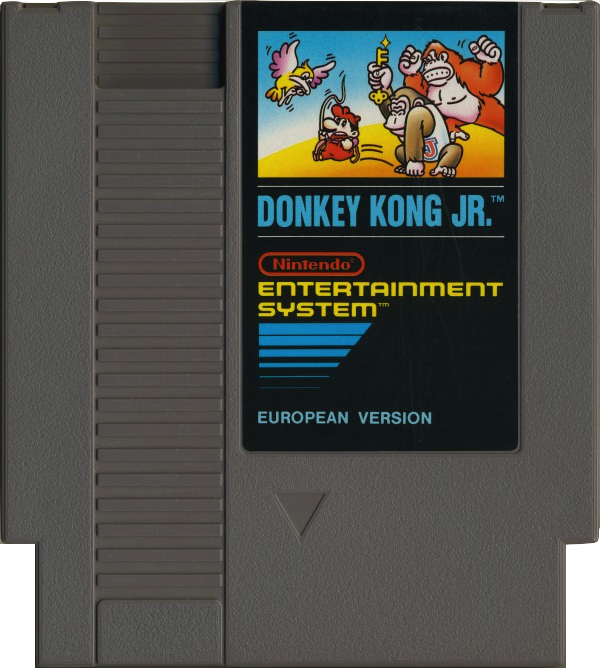 You'll have to fight off ape-eating Snapjaws, jump onto moving islands and break through a jungle of vines to get to the keys that will free Donkey Kong. Can you handle the action? Because this off-the-wall monkey business will have you going bananas!